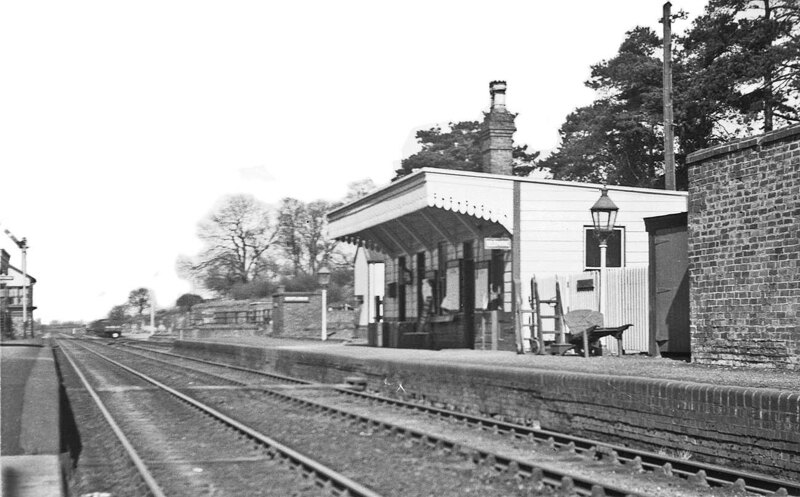 Looking towards Rugby from the Birdingbury end of Dunchurch station's up platform on 21st April 1951. The main station buildings, the station master's house and the principal passenger facilities, are on the right with the small goods yard situated beyond on the right. The station was lit by oil lamps which, from the evidence of the above empty lampposts, appear to have been removed for cleaning. Dunchurch's signal cabin was situated at the Rugby end of the up platform diagonally opposite the goods yard.